To achieve a balance in the bass, mid, and high audio ranges, we included dual dynamic and balanced drivers in our all-new Mi In-Ear Headphones Pro HD. The larger dynamic driver is responsible for the lower audio ranges, whereas the smaller dynamic driver takes care of the higher audio ranges. When the dual dynamic drivers combine with the armature driver, sounds produced are resoundingly richer and fuller. Graphene is known to be the thinnest, strongest, and most eco-friendly material able to transmit sound fast. We used it to create the diaphragm so it is more ductile under high frequencies, producing sounds that are rich, sharp, and crystal clear. It is 100 times stronger than steel, conducts 100% of the electrical signals passed through them, accurately delivers sounds the way it was meant to be heard. Every music tells a story. To deliver the true representation of the music, we enlisted the help of 4-time Grammy Award winning tuner, Luca Bignari, to conduct scientific acoustic tuning for our Mi In-Ear Headphones Pro HD. Now audiophiles can truly immerse in every single musical creation. A pair of well-designed headphones shouldn't just sound good, but should also act like an ear accessory. deliver true music to your ears. It has precise cavity structure calibrations that lets music sing better. It also comes with the highly stretchable TPE wiring that is hardy and durable. The Mi In-Ear Headphones Pro HD wired control is inspired by the overall design of the headphones. It is dressed in full metal and lined with highly stretchable matte wiring, making it sleek, compact, and feels great on your fingertips. We've specially selected TPE, with elasticity similar to that of rubber, as the raw material. It is environmental-friendly, non-toxic, and heat-resistant. Now you have quality headphones that are durable, dirt-resistant, and has tangle-resistant wires to accompany you on longer music journeys. To reduce the risks of developing ear skin irritation, we've specially picked a medical-grade silicone that is delicate, soft, and gentle on your skin. We have also provided 4 different pairs of ear bud sizes for you to find the perfect fit. Now with the Mi In-Ear Headphones Pro HD, you have that perfect acoustic companion to accompany you all day long. Creating the metal sound chamber is a 25-step process that involves integrated diamond cutting, CD engraving, zircon sand blasting, and anodizing. Every step is meticulous and of highest precision, presenting you a final piece of artwork that excels in both design and sound quality. The aluminium alloy iron sound chamber is crafted using the CNC diamond cut finish with up to 0.01mm precision. Such crafting process requires prior analysis on the aluminium material before it is sent for processing, resulting in a pair of Mi In-Ear Headphones Pro HD that is comfortable and delicate on the ears. 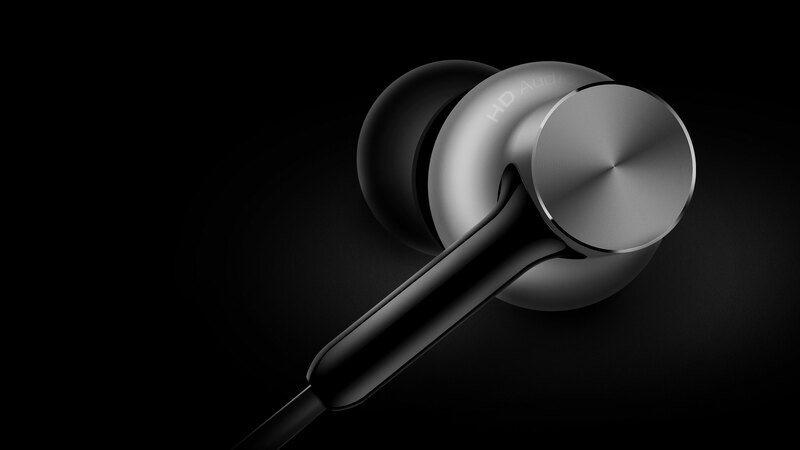 Mi In-Ear Headphones Pro HD includes a fine, detailed 0.14mm grain that adds a textured metallic luster similar to CD discs on the headphone metal body. We've specially picked the zircon sand as the raw material to give our Mi In-Ear Headphones Pro HD a fine, uniform finish. This also ensures the surface is hardy and resistant to scratches. Before it gets shipped, we've also dressed the headphones with an anodized layer of 6μ hardness to enhance its appearance, on top of protecting against wear and tear. The Mi In-Ear Headphones Pro HD has been rigorously tested in over 700 reliability tests, and has far surpassed industry standards to guarantee performance and excellent durability, presenting only the best listening and user experience to our users.